Nailhead trimmed tapered wings frame the side of this hand pleated button tufted upholstered headboard of this upholstered bed. 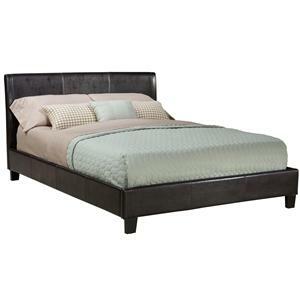 Along with its dark gray textured fabric, the bed adds comfort and style to your master bedroom decor. 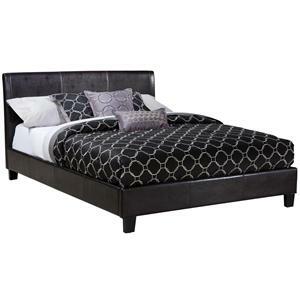 The low-profile upholstered footboard and upholstered rails complete the look of this bed. The Kasidon California King Upholstered Bed in Dark Gray with Tufting and Nailhead Trim by Signature Design by Ashley at Carolina Direct in the Greenville, Spartanburg, Anderson, Upstate, Simpsonville, Clemson, SC area. Product availability may vary. Contact us for the most current availability on this product. 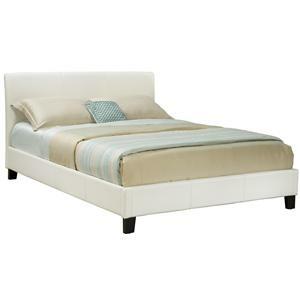 B600-556 King/Cal King UPH Footboard 1 82" 5" 15"
B600-558 King/California King Upholstered Headboard 1 87" 10" 55"
The Kasidon collection is a great option if you are looking for Contemporary furniture in the Greenville, Spartanburg, Anderson, Upstate, Simpsonville, Clemson, SC area. Browse other items in the Kasidon collection from Carolina Direct in the Greenville, Spartanburg, Anderson, Upstate, Simpsonville, Clemson, SC area.